Let VISIT DENVER help you find the best accommodations, restaurants, transportation, entertainment and more to make your Denver program or group memorable. Explore the possibilities! And, our service is completely FREE! 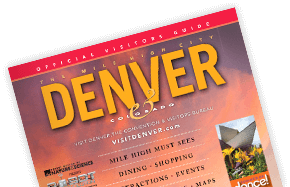 Call 303-571-9446, 800-880-9059 or tourism@visitdenver.com to start planning today!